Naviar Haiku Fest will take place at The Old Church in Stoke Newington, London, on the 6th October. The event aims to explore the connection between experimental music and poetry, break the barrier between audience and artists and encourage online and offline collaboration. 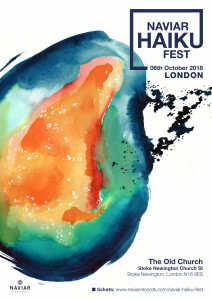 Haiku Fest is an event organized by Naviar Records, a music community with a passion for traditional Japanese poetry. Naviar collaborates with over 200 artists worldwide, publishes physical and digital albums and only recently started organizing events as well: the first one was in L ondon in October 2017.